Convoluted discs There are 9 products. 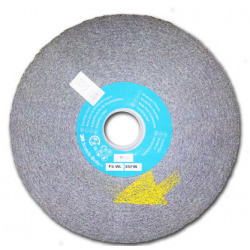 Finishing wheel, aluminum oxide grain or silicon carbide.Decorative finish, from brushed to glossy satin. Removal of brushed finish on pre-polished stainless steel, elimination of blue oxidation after welding.